Rolls and bags of the newest release from the United States Mint program of America the Beautiful Quarters became available today, August 29. This one commemorates Theodore Roosevelt National Park by featuring a design emblematic of the site in North Dakota. 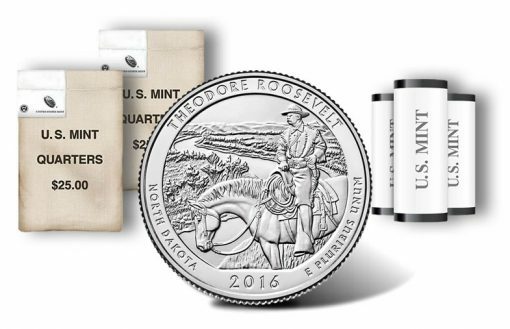 Options include Theodore Roosevelt quarters struck in the Philadelphia, Denver and San Francisco Mints. In addition to easily collecting quarters from all three facilities with each bearing distinct mintmarks, the products offer buyers an opportunity to get them in a timely fashion — it usually takes many months for new quarter designs to show up locally in change. Six different design candidates for the quarter’s reverse were submitted for review before the final one was selected. The winning design depicts Roosevelt as he might have appeared on horseback surveying the landscape near the Little Missouri River. 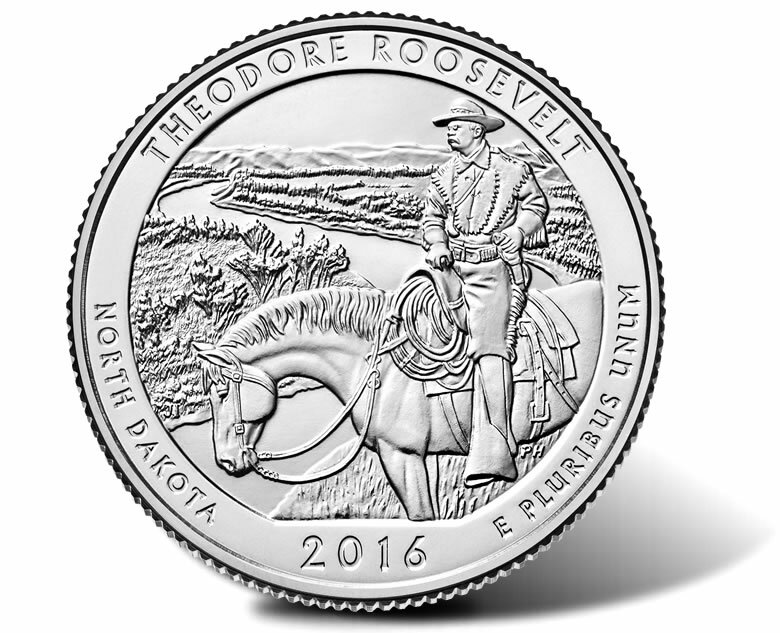 Designed by Joel Iskowitz and sculpted by Phebe Hemphill, the fourth 2016 quarter depicts a young Theodore Roosevelt on horseback surveying the terrain near the Little Missouri River. Inscriptions around the image include THEODORE ROOSEVELT, NORTH DAKOTA, 2016 and E PLURIBUS UNUM. Joel Iskowitz created the design and Phebe Hemphill sculpted it. In the U.S. Mint video below, Hemphill talks about working on the coin. America the Beautiful Quarters share an obverse portrait of the first President of the United States, George Washington. The likeness by John Flanagan has appeared on quarter dollars since 1932. Washington’s effigy is surrounded by inscriptions of UNITED STATES OF AMERICA, LIBERTY, IN GOD WE TRUST and QUARTER DOLLAR. Mintmarks appear on quarter obverses, indicating where they were made. Here you can see the ‘D’ mint mark for the Denver Mint. Mintmarks of ‘P’, ‘D’ or ‘S’ are also found on obverses designating their production facility of Philadelphia, Denver or San Francisco. 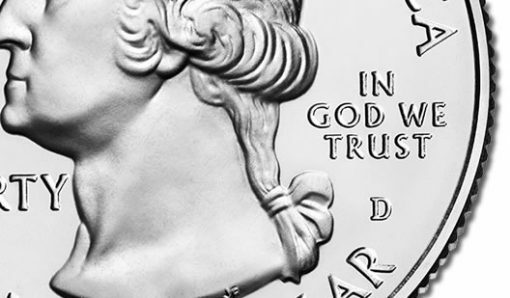 As an added note, Philadelphia and Denver Mints produce all U.S. coins for general circulation. The San Francisco Mint, however, only strikes coins for sale in collector products. ‘S’ quarters will not show up in circulation. The U.S. Mint’s online store, found here, is the best place to buy new quarters. Use 1-800-USA-MINT (872-6468) to order them by phone. 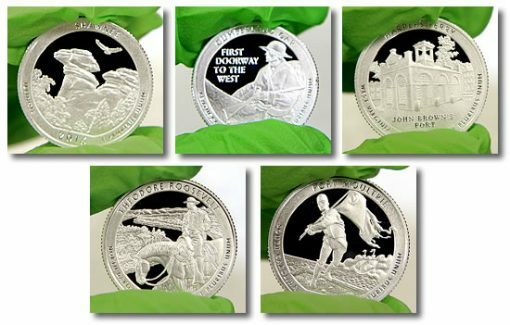 This coin marks the thirty-fourth in the series of the America the Beautiful Quarters, a program that debuted in 2010 and honors sites of national interest throughout the United States and its territories. Above are photos of the 2016 America the Beautiful Quarters taken at the San Francisco Mint. 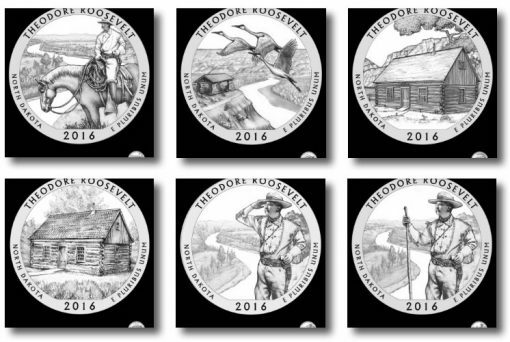 These are special collector proof versions that have already launched within United States Mint annual sets. 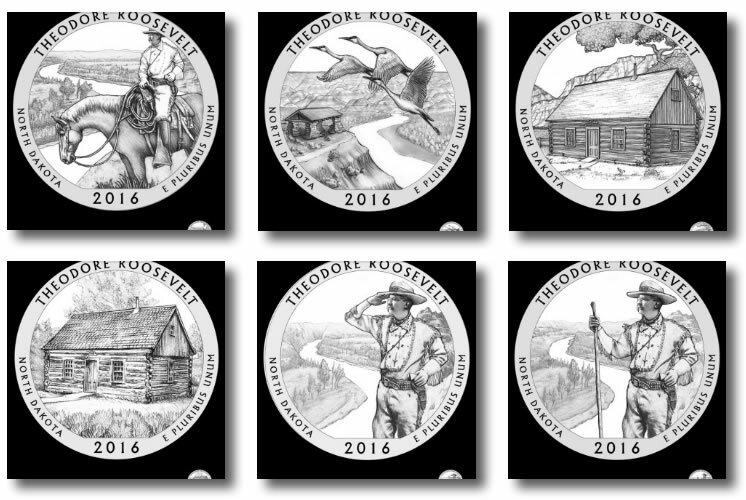 Earlier 2016 quarters showcase designs commemorating Shawnee National Forest of Illinois, Cumberland Gap National Historical Park of Kentucky and Harpers Ferry National Historical Park of West Virginia. The final quarter for this year honors Fort Moultrie of Fort Sumter National Monument in South Carolina. Rolls and bags of them are due for release in November. Theodore Roosevelt Depicted on Circulating Quarters in 2010? Nice video of the coin. It’s a real Nice coin, ? to all… & where we are @–> Does anyone NOT reading this even care!? The mint needs them to be available as virtual coins for the iphone, etc., talk about seignorage, they do it with Baseball cards & the dummies take it over the real things! What the heck are you whistling about? The US Mint requires their registered trademark be used in print articles for their ATB quarters. These are circulating-quality coins processed in coin counting machines for the rolls & bags & therefore have scratches on them. I love this design best for this year & will be purchasing the 5-oz silver version. Kudos to the US Mint on a great design! This design of T.R. will look great on the 5oz coin. Legal disclaimer required to comply with law (including CoinNews Media LLC as a for profit affiliate business enterprise).